Piling tubes are designed for use in areas where ground heave is expected, i.e. The London Clay Belt. The special slip coating allows for movement of clay around the pile, thus greatly reducing stress normally transferred through said pile. The surface area of the pilling tube is manufactured in such a way that it will maintain its circular form and smoothness after pouring. The mouth of the pile needs no extra support during pouring and will not expand under loading unlike plastic tubes. We have a selection of standard Piling Tube diameters that are available from stock to suit 200mm, 250mm and 300mm bore but if you require specialist sizes or larger quantities please contact us for lead times and prices. All of our stock items can be delivered next day basis. In extreme situations, we can potentially offer a same day service. Any specific dimensions and larger quantities require a three to five day lead time for manufacturing and delivery. 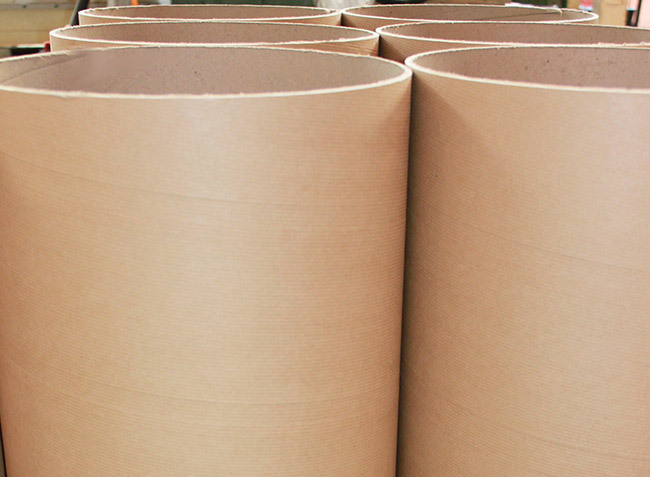 All of our products here at Essex Tubes are created in an environmentally friendly environment, meaning no chemical waste is produced in the tube winding process and all materials are created from recycled materials. Our Piling Tubes are manufactured using the highest quality fibreboard available to ensure for highly efficient usage in all construction, engineering and piling projects. Our Piling Tubes are ideal for many groundwork, civil engineering and piling projects. They are perfect to be placed on uneven ground prior to concrete being poured to ensure for a level base. This reduced the amount of excavation needed and also reduces the time taken, being both cost and time effective.